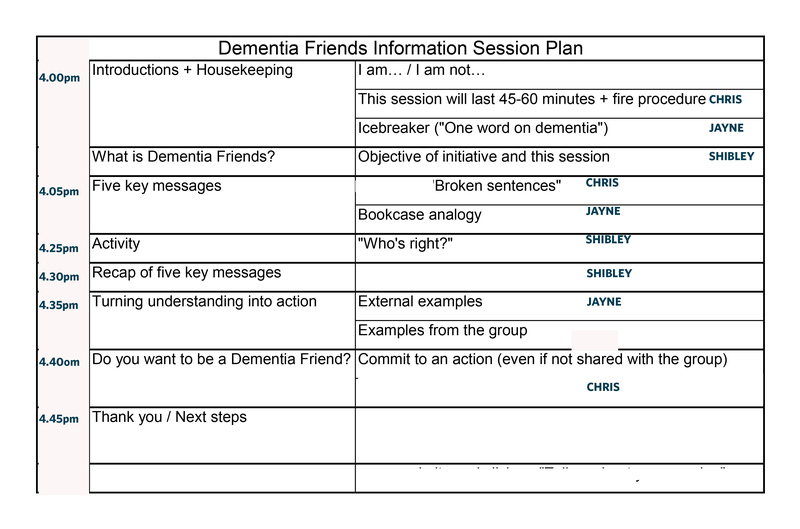 Chris Roberts (@mason4233), Jayne Goodrick (@JayneGoodrick) and I (@legalaware / @dementia_2014) will be running a ‘Dementia Friends’ information session . This ‘Dementia Friends’ information session will be at 4 pm at BPP Law School, Holborn, London WC1N 4NY. ‘Dementia Friends’ is a Public Health England and Cabinet Office initiative, delivered by the Alzheimer’s Society. It is completely free of charge to attend. 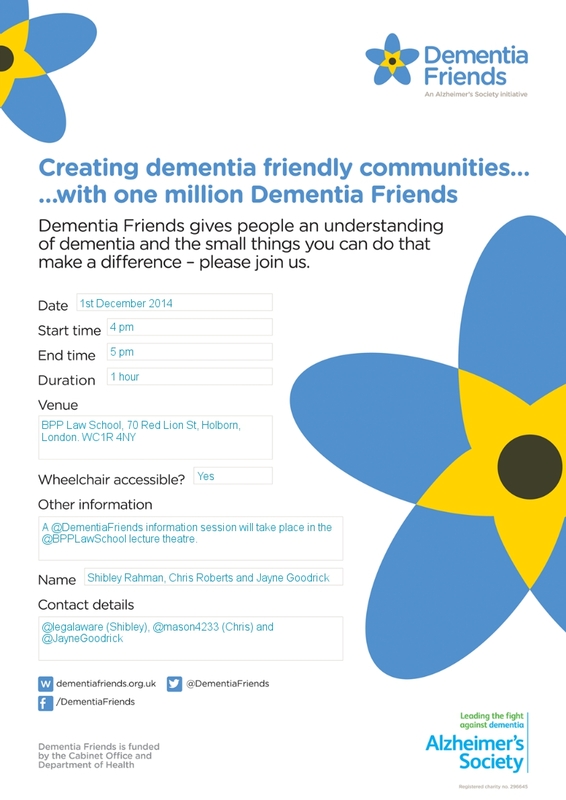 It is an information session, containing some activities, about five key facts about dementia. It is not training. We are not experts. We are not counsellors. People living with dementia can often be frightened to tell their friends and/or family that they have received a possible diagnosis of dementia. This initiative is designed to impart some basic information about what dementia is. We are not delivering this as ‘a tick box exercise’ – only attend if you are genuinely interested. There will be a booking sheet published soon on our Twitter feeds. Places will be allocated on a ‘first come, first served basis’. We should like to thank Anne (BPP University Room Allocation Service), Prof Carl Lygo and Prof Peter Crisp (Professors of Law, CEO of BPP and Dean of the BPP Law School respectively), and Shahban Aziz (CEO of BPP Students) for local help in BPP in organising this session for us.